Companies typically give gifts to three groups of people: their clients, their employees and prospective large clients. Gifting is a must, so it should not be seen just as an expense but rather as an investment. You invest in building a relationship with clients and you invest in the happiness of your employees. 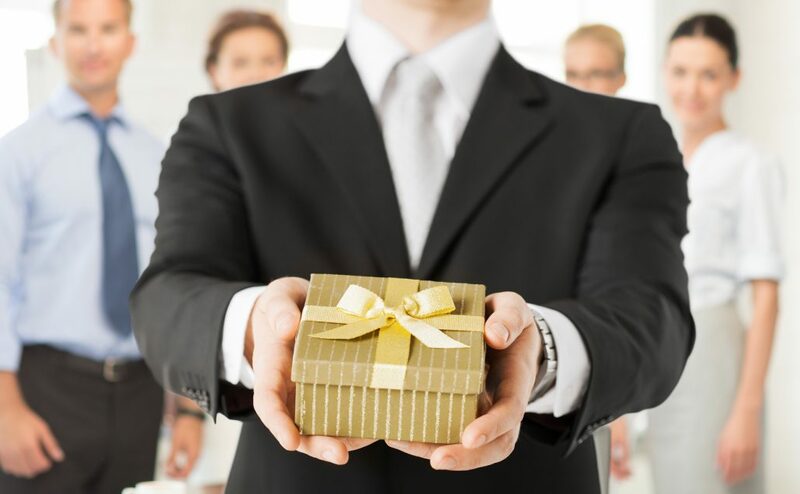 Gifting can help establish strong client and employee relationships which can lead to client and employee retention and ultimately loyalty. What are the top 5 elements that make a corporate gift perfect? Customization – The more you know about your client, the more tailored a gift can be. By sending the client a personalized gift, they will appreciate the thought you have put into it and how much you value their business. Element of Surprise – Although sending gifts on holidays is a nice gesture, your client is most likely receiving gifts from all other companies they work with. What they don’t expect is a gift from you celebrating your one-year working relationship together, or a Valentine’s Day gift saying how much you appreciate them. If you would like to stick with normal holidays, maybe surprise your client with not just a gift for them but a gift for them and their family to enjoy together. Use Your Budget Wisely – Rather than spending money on a lot of items to make your gift look enormous but only contain mediocre items – focus on the quality and get a top of the line small item instead. Limit Swag – Try to keep the focus of the gift on pleasing the customer. Limit the amount of swag in the gift or the gift will seem more like a walking advertisement for you and not as sincere. Support Local – Try to support other local companies when sourcing gifts. It makes your gift more unique, memorable and personal. It also shows your efforts to make a gift wonderful. Learn more about corporate gift giving and get some ideas from www.speciallymade.org. 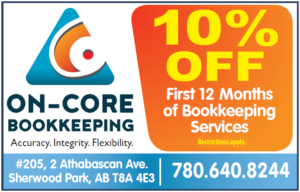 You can also call Mei Yeung at 587 988 0866 to learn more. How To Gain Control Of Your Cash Flow During The Holiday Season Are you an Oilfield or Construction Consultant?